An interview with Fares Gabriel Hadid, CEO of the Berliner Fahrradschau and the Berlin Bicycle Week, about the innovative trade show concept, the meaning of urban cycling and why B-2-C is the new B-2-B. 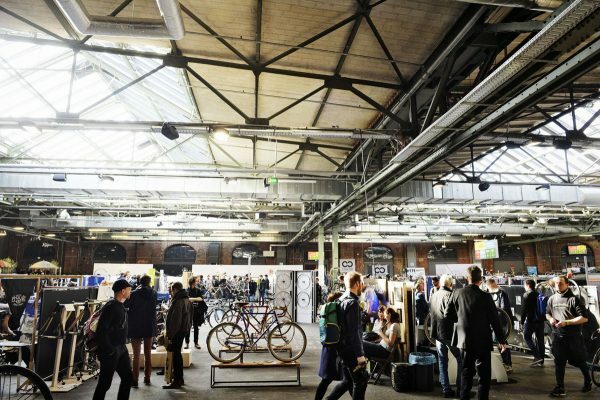 The Berliner Fahrradschau (BFS) along with its new offshoot the Wiener Fahrradschau (premiering 21. to 23.10.16 in Vienna, Austria) are the biggest bicycle-lifestyle trade shows on the international cycling scene. The man behind the trade shows is not short of international experience either: Fares Gabriel Hadid. Before graduating in law he made rock music as a teen and later ran an internationally successful music consulting business. As a fashion specialist, he then played a key role in the rise and success of the Berlin-based urban wear trade show Bread & Butter. Above all the success stands his passion that he pours into all his endeavors. But there is one passion that clearly stands out: cycling. It was his vision and direction that made the BFS into what it is today. His credo became the show’s hashtag #cyclingunites. „Everyone has a personal story to tell when it comes to cycling“ according to Fares. What’s his story? He pauses and thinks. It all started with a Rixe kids bike, a present from his godfather. Later he competed in road races as part of the Bavarian racing team. Up until today he is a passionate road racer and all around bicycle enthusiast. 1. Fares, what makes your events so special? The people that attend our shows. From the investment banker to the bike courier, they all come together at the Fahrradschau. This mix creates an incredibly relaxed atmosphere. The Fahrradschau has felt like a family get-together for years now, and that is how it’s supposed to be. Everyone who is passionate about cycling meets at our shows. We have the mountain bikers, the fixie scene, the cargo bikers as well as the ambitious road racers. We all have one thing in common: the joy we feel when cycling. That’s why #cyclingunites. Apart from that, we have high-quality standards. This starts with the exhibiting brands, the carefully curated products all the way to the catering at the shows. I think you can feel this when attending – our attention to detail is what makes our shows unique and special. It’s also important for us to treat every brand equally when it comes to the booths. Big and small brands all receive the same expo space to present their products in the best way possible. There is no competition about who has the biggest and most gnarly booth. That is also why we have recently decided against a major expansion of our Berlin show. To keep the good vibes is our highest priority and to bring these vibes to Vienna and other cities is our big goal for the future. 2. What is a more suitable description – show or trade show? 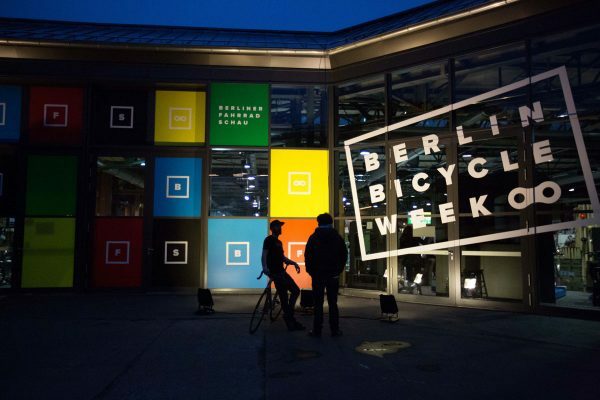 The Berlin Bicycle Week is a week packed with experiences and events. The Fahrradschau, on the other hand, is definitely a trade show. However, a further development of what is usually conceived as a bike trade show. 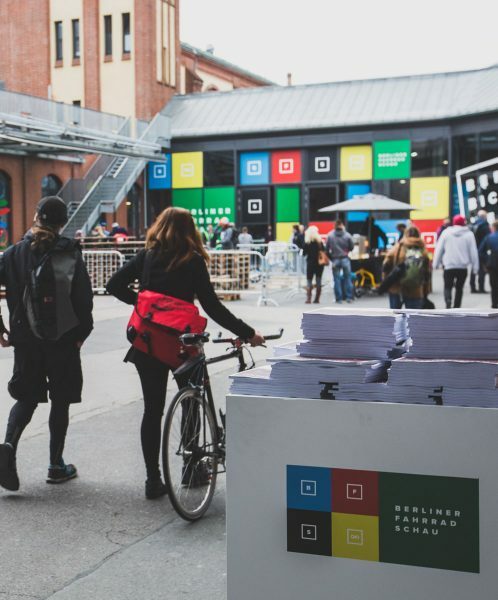 The Fahrradschau is a modern interpretation of a trade show focusing on the experience for the consumer while addressing the growing issues of brands and manufacturers. 3. Could you please explain this in more detail? Well, two factors play a role here. For one, consumers today are very picky and demanding. They not only want the important information, the best quality, and the best service – they also want to be entertained. In the future brands will have to convince their customers with a different approach, especially when looking at the premium segment where quality differences are marginal. Consumers want to see products in an authentic context and they want to identify themselves with the products. To achieve this, you have to do more than to just display a bicycle on a bike rack along a few technical specs. To satisfy the consumer’s needs and to create an emotional attachment to a brand, you have to work with stories that can actively be experienced by the consumers. Manufacturers with traditional distribution channels are often having difficulties adjusting to this new development. Aside from special concept stores, there is little to no room for branding messages in traditional retail stores. The media can only transport these experiences up to a certain point. So where do consumers and brands meet? That’s why we have created a trade show that allows manufacturers to emotionalize their brand and through this process get in direct contact with potential customers. This also takes some of the weight off of the retailer’s shoulders. On top of that, we will also actively help brands to develop their stories if they haven’t done so already. It was always clear to me that our trade show wouldn’t be a business-to-business show, but a business-to-consumer trade show. We want to be close to the people. Close to the individual developments and disciplines such as mountain bike, BMX or the bike-punk scene. More importantly we want to attract the general public: For example, people who use cargo bikes instead of cars and who see cycling as a lifestyle but also as a functional mode of transport. 4. So it’s a pure B2C trade show? No, not at all. B2C is the new B2B! While consumers interact with manufacturers, we are creating a communication platform for manufacturers and retailers from different cities. This platform becomes one with the B2C area when viewing it from the outside. In the background, however, contacts are being made, synergies tested and new partnerships are formed. The times when you had to choose between either B2B or B2C are long gone. 5. The trade show expanded from your chosen home Berlin to Vienna. Why those two cities? Berlin has developed into a global city that is constantly changing. To me, it’s the most exciting city in Europe – especially because of the many different influences from all over the world that arrive here and form something new. Berlin is like a big canvas with new paintings constantly being created and everyone is free to add to it. Vienna has many similar traits, but with a more traditional core. It has been a melting pot of various cultures for hundreds of years with different influences than Berlin, especially geographically speaking. The combination of rich tradition, which is still highly valued, and modern influences create an exciting and inspiring atmosphere. Most importantly, Vienna is home to a large and active cycling scene just like Berlin. Apparently, it is also the 2nd best city concerning quality of the life worldwide. 6. If so, how do you incorporate the cities into the trade shows? It is important to us to integrate the city’s lifestyle into each of the trade show programs. Every event should have a local connection. The Berlin Bicycle Week in Berlin creates many opportunities for us in that aspect. We organize yoga events, art shows and bike races throughout the entire city. For Vienna we incorporate things such as the coffee culture, we are integrating the Radkult Festival and are planning on expanding the offering by working with local shops and communities. 7. When creating such ideas, are you also inspired by your diverse experience in the music and fashion industry? (laughs) I can confidently say: Yes. I worked for almost 10 years at Bread & Butter where I helped build the trade show into what it is today and gave the, back then, new urban wear a platform. I see very clear parallels to – let’s say: Urban Cycling. 8. What exactly does Urban Cycling mean to you? Many people think of long beards, Latte Macchiato, and single-speed bikes when I talk about urban cycling. This is an important part of the urban cycling culture, but also a very small one. Urban Cycling means more than riding a traditional city bike or a fixie. A performance brand can also be urban. Most people live in metropolitan areas and most of them ride bikes. Cities with special characteristics such as architecture, art, culture, infrastructure or their geographical location have strong influences on bikes and the way people ride bikes. The same way a bike can be an urban-inspired design object, it can also be an urban specific mode of transport. It is not without reason that food and packages are now being delivered by bike in cities. 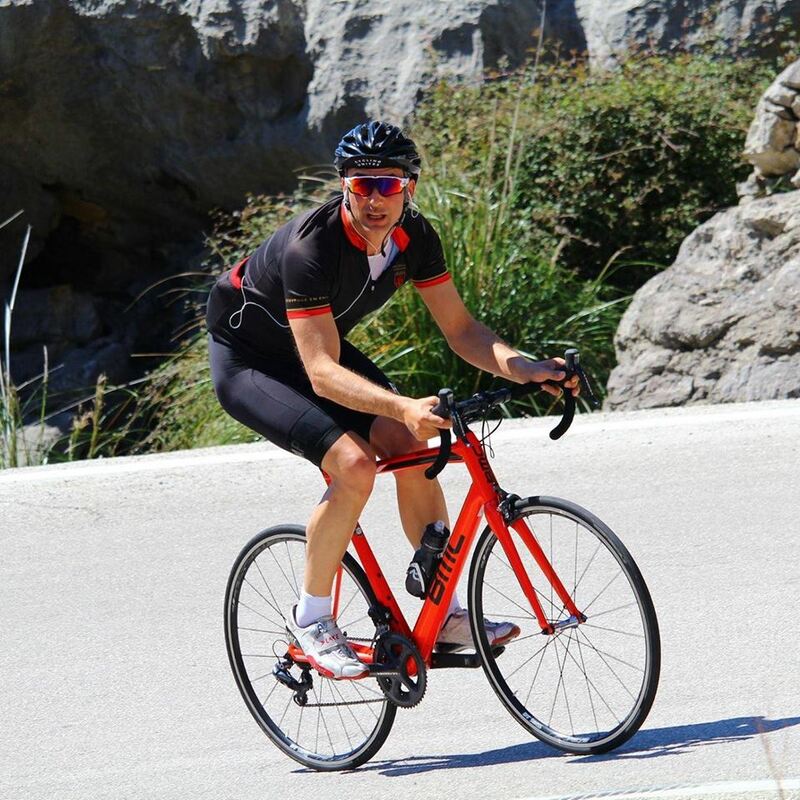 It is time to change the perspective on the bike as a mere mode of transport or a sports equipment. That’s why urban cycling to me means a change of perspective. 9. What are the current and most important trends in the bike industry? Without a doubt: E-Bikes, cargo bikes, bike wear that’s functional and stylish at the same time, and exciting apps.